State testing is quickly approaching and we need volunteers to come monitor our state testing sessions here at Riverwood Elementary. The main job of the test proctor is to observe to assure testing procedures are followed and report any irregularities in the testing procedure. Along with summer comes the summer slide. Research tells us that the summer slide is preventable. Richard Allington and Anne McGill-Franzel found that a book giveaway program in which children received 12 to 15 self-selected books over three consecutive summers resulted in gains equal to a summer school program. The Bronco Bus is hitting the roads of our district! The Bronco Bus is a school bus filled with books and other learning materials that will travel throughout the Mustang school district this summer giving students the opportunity to interact with books, STEM activities, and much more in order to help prevent the summer slide! We are currently hosting a Bronco Bus Book Drive. We are looking for new or gently used books to fill the shelves of the Bronco Bus. Boxes are in each school office waiting to be filled with books. Please help get the word out to your families. We also need celebrity readers that will meet the bus at stops to read and interact with students. A sign up will be going out very soon! Thank you for helping prevent the summer slide for Mustang students! Please see the attached communication regarding road construction around Mustang. This will not directly impact us at Riverwood but it may impact you or your family if you have the need to visit on of our other sites or Mustang High School. This may also impact you or your friends if for coming for Pre-K Round up on March 26th. Please share with those who may need to be aware of these important slow downs. Don't delay and miss out on ordering RIVERWOODS first yearbook! We are working hard to collect memories here at school that you will want to cherish forever at home! These are pre-order, and ONLINE only!! Ordering is open NOW through MARCH 11! ORDER TODAY! One of our primary objectives at MPS and Riverwood is student, staff and family safety. It takes cooperation and responsible actions by all of us including our bus drivers, students, parents and teachers to achieve this goal daily. Multiple times a year our site safety committee meets to provide feedback to our administration team about possible safety concerns. During our most recent meeting multiple things were noted with our Car Rider drop off and pick up lane that pose potential safety hazard that we want to make you aware of so you can help us to improve. Cell Phones- Please refrain from cell phone use during car rider drop off and pick up. Our morning and afternoon drop off lane is a busy place with lots of little people attempting to load and unload safely. Just this week we had a car accidentally run up on the curb due to cell phone use. Thankfully the sidewalk was clear, but this could have been a tragedy if a child or staff person were present. Blocking Drives- We want all of our drivers to be as courteous as possible. As you know traffic can at times be challenging. Please do not block drives to neighborhoods or accesses to our school building to avoid letting another driver in front of you. Blocking a drive or access of any kind is a traffic violation and could possibly keep emergency vehicles from accessing our site or neighboring housing additions. Thank you in advance for your support and mindfulness to do your part to keep everyone safe. If you see something that our safety committee should consider please let us know. This year our school will bep articiapting in the Box Tops for Education program. My name is Melissa Parker and I'm thrilled to be the Box Tops Coordinator for Riverwood Elementary. Cliping Box Tops is an easy way for your to help our school buy what it needs. Box Tops are each worth $0.10 and they quickly add up to real cash for our school. This school year, our school's earnings goal is $1800.00. To help our school, just look for the pink Box Tops on products, clip them, and send them to school. For more information n the Box Tops for Education probgram, including a list of participating products and our school's progress, visit www.BTFE.com. Be sure to become a member to recive exclusive coupons and learn about extra ways for our school to earn. I hope you're excited for everything we can do this year with Box Tops! If you have any questions, please don't hesitate to contact me at maparker0501@gmail.com. I'm here to make our school's Box tops for Education program a huge success this year. WE NEED YOUR HELP......Each year families may apply for Free and Reduced-Price Meals, but it’s not just about food. If approved, not only will students receive school meal benefits, but the district will receive additional educational funding to be used in the classroom. It only takes a few minutes to complete, and minimum eligibility guidelines are listed on the application. (Please list all students in the household on the same application). Our school benefits even if you chose to not take advantage of the service. I am thrilled to be the first to say WELCOME to Riverwood Elementary! We are so excited to kick off an amazing school year at RIverwood together. Our collective beliefs are that passion builds purpose, and our daily purpose is to serve kids. We have brought together a highly effective team of educators that are committed to meeting students’ needs and making a positive impact in the lives of your student. We know that you will find that Riverwood will be an extraordinary place for your child to learn and grow. At Riverwood we have high academic expectations for all students and will provide systems of support to guarantee individualized success. We look forward to meeting you, loving your kids and serving your family for the 2018-2019 year. 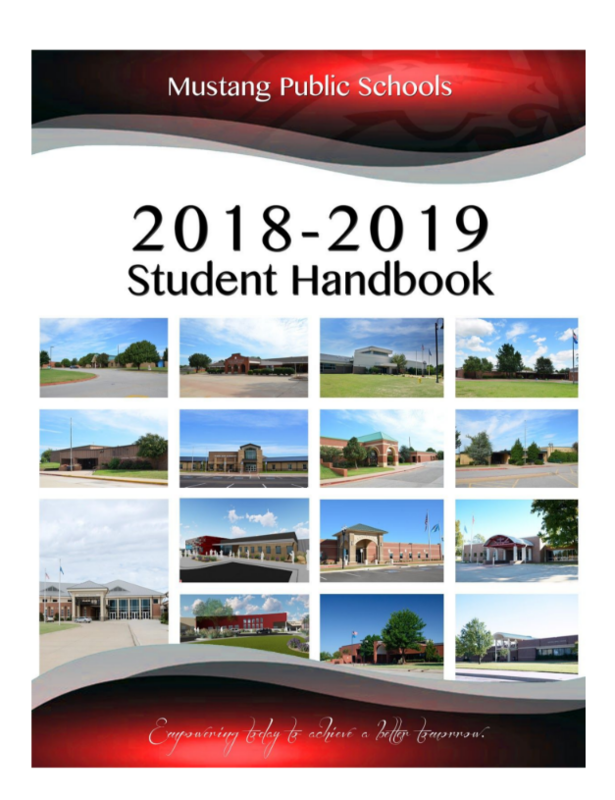 *School supply lists for all grades are available online at www.mustangps.org. *Elementary residency verification day is August 2nd 11:00am-7:00pm-ALL PARENTS/GUARDIANS MUST bring a current utility bill( July or August) to complete your child’s enrollment. This includes all students who turned in pre-enrollment forms in the spring. No teacher will be assigned until residency has been verified. *Open House/Meet the Teacher night is on Tuesday, August 14th from 5:00-6:30 pm. In order to alleviate parking problems, we request that all families whose last name begins with the letters A-L come from 5:00-5:45, and last names beginning with letters L-Z attend from 5:45-6:30. Information on bus routes, before/after school care, and lunch accounts, PTSO memberships and school shirts will be available. You may also bring your child’s supplies to the classroom on open house night. If you pre-ordered supplies online they will be delivered to your child’s classroom before the first day of school. *The first day of school for the 2018-2019 school year is August 16th. School begins at 7:40 and is dismissed at 2:35. Breakfast is served daily from 7:15-7:35 for $1.75. Students not eating breakfast will report directly to the gym. *Special Education Parent Meeting/Open House in on Monday, August 13th from 5:00-6:00 PM. This will be your chance to meet with your student's teacher and check out Riverwood! *Kindergarten and Pre-K Parent Orientation is scheduled for Monday, August 13th from 6:00-7:00 PM. This meeting is for kindergarten and Pre-K parents only, please make other arrangements for your children. * Grades 1st through 4th parent meetings will be scheduled once school begins. *Take advantage of the many available resources on the district website. Enroll in “My School Bucks” to monitor your child’s lunch account and deposit money; track your child’s attendance and grades by signing up for “Parent Portal” (show photo ID at any Mustang school to receive your password to enroll); and check to see if you are available to receive financial support for your child’s breakfast and lunch costs by completing the online “Free and Reduced Lunch” application. We are excited to have the opportunity to get to work with your family in achieving success for your student. Click below for more information about BroncoClub! Now you can apply for free or reduced school meals online! The process is quick easy and FREE, and in a few short steps you’ll be done! Since the information you’re providing is electronic we’ll be able to review your application faster than ever before! Read here to find out more! Still need a paper application? Click here.